7921. Sara Roberta MCCLAIN 1, 2, 3 (Minnie M STRAUSSER , Elmira E RUPERT , John J RUPERT , Maria BITLER , John Wolf , John , Johannes ) was born on 4 Feb 1909 in PA. She died on 22 Aug 1998 in Shamokin, Northumberland Co, PA. She was buried in Odd Fellows Cemetery, Shamokin. Sara resided in 1910 in 213 Coal St, Shamokin, Northumberland Co, PA. She resided in 1920 in 1527 Water St, Shamokin, Northumberland Co, PA. She graduated from Coal Township High School in 1926. She resided in 1930 in 1537 Water St, Shamokin, Northumberland Co, PA. She worked as seamstress - shirt factory in 1930. She resided in 1940 in 1007 Shamokin St, Shamokin, Northumberland Co, PA. She was issued a social security number before 1951 in PA.
Sara married Ralph Moses KLINGER about 1927. + 13467 F i Roberta Ellen KLINGER was born on 1 Apr 1931. She died on 22 Jul 2006. 13468 M ii Ralph KLINGER. 7922. Grace Rowena MCCLAIN 1, 2 (Minnie M STRAUSSER , Elmira E RUPERT , John J RUPERT , Maria BITLER , John Wolf , John , Johannes ) was born on 20 May 1911 in Shamokin, Northumberland Co, PA. She died on 19 Apr 2002 in PA.
Grace resided in 1920 in 1527 Water St, Shamokin, Northumberland Co, PA. She graduated from Coal Township High School in 1929. She resided in 1930 in 1537 Water St, Shamokin, Northumberland Co, PA. She worked as clerk/bookkeeper - store in 1930. She resided in Aug 1935 in Philadelphia, Philadelphia Co, PA. She resided in 1940 in 5054 Holmstead St, Philadelphia, Philadelphia Co, PA.
Grace married Joseph Vincent MACDOUGALL 1, 2, son of George MACDOUGALL and Mary PINYARD. Joseph was born on 26 Sep 1909 in Philadelphia, Philadelphia Co, PA. He died on 8 Jun 1992 in Sarasota, Sarasota Co, FL. Joseph resided in 1940 in 5054 Holmstead St, Philadelphia, Philadelphia Co, PA. He worked as press man - paper Company in 1940. He was issued a social security number in PA.
+ 13469 M i Joseph R MACDOUGALL. 7923. Robert Harrison MCCLAIN [scrapbook] 1 (Minnie M STRAUSSER , Elmira E RUPERT , John J RUPERT , Maria BITLER , John Wolf , John , Johannes ) was born on 14 Jul 1914 in PA. He died on 14 Sep 1989 in PA. He was buried in Block 24 Sec E Lot 35, Odd Fellows Cemetery, Shamokin, Northumberland Co, PA.
Robert resided in 1920 in 1527 Water St, Shamokin, Northumberland Co, PA. He resided in 1930 in 1537 Water St, Shamokin, Northumberland Co, PA. He graduated from Coal Township High School in 1932. He served in the military with U.S. Navy - Coxswain (CB) from 14 Jun 1942 to 26 Sep 1945 in WW II. He resided at Camp Allen in 1942 in Norfolk, VA. He served in the military with U.S. Navy - Seabees (?) in Dec 1943 in Camp Rouseau, Port Hueneme, CA. He was issued a social security number before 1951 in PA.
Robert married Gene B LANDAU [scrapbook], daughter of Harry M LANDAU and Reba METZ, on 8 Nov 1941 in Towson, Baltimore Co, MD. Gene was born on 15 Mar 1921 in Shamokin, Northumberland Co, PA. She died in Oct 1987 in Shamokin, Northumberland Co, PA. She was buried in Block 24 Sec E Lot 35, Odd Fellows Cemetery, Shamokin, Northumberland Co, PA.
Gene graduated from Coal Township High School in 1939. She worked as student nurse with Johns Hopkins Hospital in 1942 in Baltimore, MD. She worked as student nurse with Johns Hopkins Hospital in 1943 in Baltimore, MD. She was issued a social security number before 1951 in PA.
7925. Charles Benjamin MCCLAIN 1 (Minnie M STRAUSSER , Elmira E RUPERT , John J RUPERT , Maria BITLER , John Wolf , John , Johannes ) was born on 18 May 1924 in Coal Twp, Northumberland Co, PA. He died on 11 Sep 2007 in Shamokin Area Community Hospital, Shamokin, Northumberland Co, PA. He was buried on 14 Sep 2007 in St. Stanislaus Cemetery, Coal Twp, Northumberland Co, PA.
Charles resided in 1930 in 1537 Water St, Shamokin, Northumberland Co, PA. He graduated from Coal Township High School in 1942 in Coal Twp, Northumberland Co, PA. He served in the military with U.S. Navy. He worked as truck driver (self employed) - 40+ yrs. He was a member of Methodist faith. Charles married Florence STEFFON on 18 Feb 1955 in St. Anthony's Church, Ranshaw, Northumberland Co, PA.
13472 F i Carol MCCLAIN. + 13473 M ii Mark MCCLAIN. 7926. Cletus A MOYER 1, 2 (Annie I STRAUSSER , Elmira E RUPERT , John J RUPERT , Maria BITLER , John Wolf , John , Johannes ) was born about 1909 in Shamokin, Northumberland Co, PA. He died on 6 Dec 1991 in Morton Plant Hospital, Clearwater, Pinellas Co, FL. He was buried in Creamated. Cletus resided in 1930 in 5604 Tacony St, Philadelphia, Philadelphia Co, PA. He worked as laborer with Safray Paper Mill in 1930. He worked as purchasing agent with Campbell Soup Co. He resided in 1980 in St Petersburg, Pinellas Co, FL. He was a member of St. Patrick's Catholic Church in Largo, FL. + 13474 M i Cletus J MOYER was born on 9 Jan 1934. He died on 14 May 2010. 13475 M ii Robert G MOYER. 13476 M iii James J MOYER. 7929. Shirley Louise OSSE (Louise E STRAUSSER , Elmira E RUPERT , John J RUPERT , Maria BITLER , John Wolf , John , Johannes ). Shirley married William Henry GILLIAM [scrapbook], son of Hiram H GILLIAM and Sarah J LAWSON. William was born on 23 Aug 1919 in Hawkins Co, TN. He died on 20 Jul 2005. + 13477 M i Anthony Hiram GILLIAM. 7933. Hazel HORNBERGER (Florence A RUPERT , Samuel Andrew RUPERT , John J RUPERT , Maria BITLER , John Wolf , John , Johannes ) was born on 25 Sep 1935. She died in Sep 1984 in Newville, Cumberland Co, PA.
Hazel resided in 1940 in N Baillet St, Frackville, Schuylkill Co, PA.
Hazel married [Male] MONTGOMERY. [Male] died in 1962 in Lancaster, Lancaster Co, PA.
13478 M i [Male] MONTGOMERY. Hazel also married Carl N SWOPE 1. Carl was born on 2 Jun 1933. 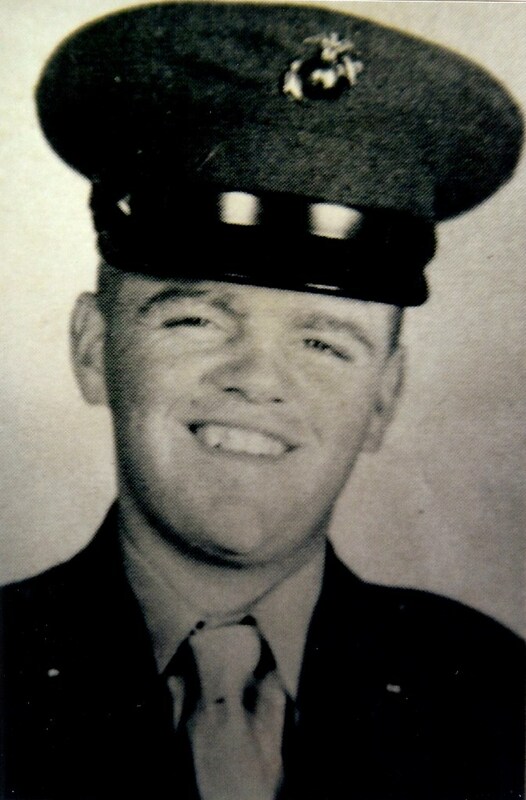 He died on 26 Oct 2004 in Willow Hill, Franklin Co, PA.
13479 M ii Ronald SWOPE. 13480 M iii Jacob C SWOPE II. 13481 M iv Jeff C SWOPE. 13482 F v Faye M SWOPE. 13483 F vi Carla J SWOPE. 7939. Judith WITNER (Emerson Aaron WITNER , Sarah Jennie RUPERT , Daniel RUPERT , Maria BITLER , John Wolf , John , Johannes ). 13484 F i Meredith CRISPELL. 13485 F ii Marissa CRISPELL. 13486 M iii Michael CRISPELL. 7941. Tracie E WITNER 1 (Emerson Aaron WITNER , Sarah Jennie RUPERT , Daniel RUPERT , Maria BITLER , John Wolf , John , Johannes ) was born on 11 Sep 1963 in Hazleton, Luzerne Co, PA. She died on 19 Feb 2006 in Wilkes-Barre General Hospital, Wilkes-Barre, Luzerne Co, PA.
13487 M i Christopher WITNER. 13488 M ii Michael ALCARAZ. 7947. Samuel HABERLE Sr [scrapbook] 1, 2, 3 (Katherine Fianna WITNER , Sarah Jennie RUPERT , Daniel RUPERT , Maria BITLER , John Wolf , John , Johannes ) was born on 10 Nov 1937 in HIlltown Twp, Bucks Co, PA. He died on 26 Jun 2011 in Sellersville, Bucks Co, PA. He was buried on 30 Jun 2011. Samuel resided in Jan 1990 in Sellersville, Bucks Co, PA. He served in the military with U.S. Marine Corps in Korea. He worked as welder - own business (Haberle Welding & Fabrication). He worked as plant supervisor with Fairhill Fabricators, Inc. until 1998 in Lansdale, PA.
Samuel married Patricia A CESARIO "Pat" about 1963. + 13489 M i Samuel HABERLE Jr.
13490 M ii Eric HABERLE. 13491 M iii Todd HABERLE. 13492 F iv Lori HABERLE. 7951. WIlliam C WITNER (William Taft WITNER , Sarah Jennie RUPERT , Daniel RUPERT , Maria BITLER , John Wolf , John , Johannes ). 13493 F i Maria WITNER. 7952. Richard A WITNER 1, 2 (William Taft WITNER , Sarah Jennie RUPERT , Daniel RUPERT , Maria BITLER , John Wolf , John , Johannes ) was born on 11 Jul 1940 in Silverdale, Bucks Co, PA. He died on 22 Jun 2012 in Grand View Hospital, West Rockhill Twp, Bucks Co, PA.
Richard was issued a social security number in 1955/1957 in PA. He resided in 1989 in Perkasie, Bucks Co, PA. He resided in Jul 2012 in Perkasie, Bucks Co, PA. He worked as machinist. Richard married Mary Ann ERVIN on 8 May 1961. 13494 F i Sharon D WITNER. 13495 F ii Tricia M WITNER. 13496 M iii Brian A WITNER. 13497 M iv Kevin R WITNER.